In order to import a quiz from Excel, you must first create the quiz using our Excel template. 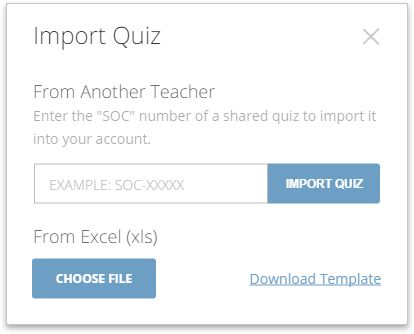 For more information on downloading and using the template, see our help article on How to Use the Excel Quiz Import Template. Click on Quizzes. Next, click on Add Quiz and select Import. Click Choose File to open a standard operating system finder/explorer window and direct Socrative to the location of the Excel file (*.xlsx) that you want to import. If there is a problem with the Excel file you selected (e.g. contains invalid questions), Socrative will inform you. If the import is successful, click Confirmto continue. 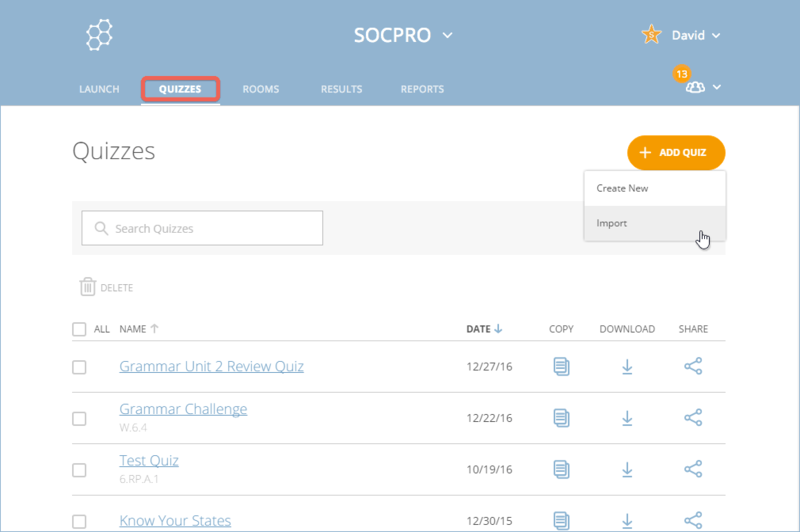 The imported quiz is added to Quizzes; it is now available and ready to use.